Have you ever used the screen of your cell phone or iPod as a flashlight? Surgeons in Argentina used cell phone light to finish a surgery when the operating room lights failed. 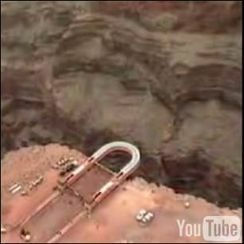 The Grand Canyon Skywalk is a U-shaped glass bridge over the canyon, 4000 feet above the Colorado River. 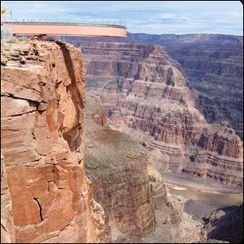 Daniel Terdiman visited the Skywalk and wrote this story. I'm still standing thousands of feet in the air, with just some glass separating me from a messy end below. And for some reason, my mind is making me walk very slowly. Walking normally, I find, is nearly impossible. 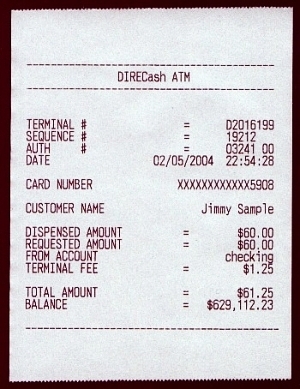 If you're really desperate to make people think you're rich, you can now buy fake ATM receipts that suggest wealth. 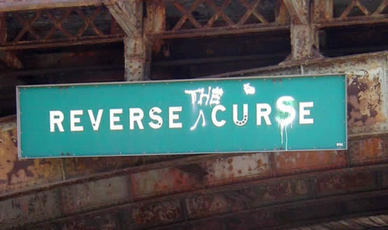 It's fashionable to have a curse on your team in baseball nowadays. 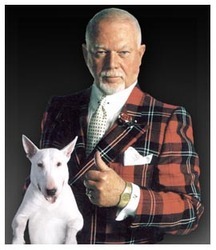 So I'm inventing one here for the Colorado Rockies: The Curse of Don Cherry. Rockies fans, you're welcome. For six years in the 1970s and '80s, Denver had its first National Hockey League team: the Colorado Rockies. I was a fan of these Rockies. The team, let's say, was not very successful on the ice. Its greatest accomplishments were (1) becoming the first team to use Gary Glitter's "Rock & Roll Pt. 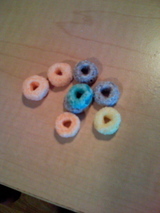 2" (also known as the "Hey!" song), and (2) having crazy man/folk hero Don Cherry as coach. After Cherry was fired, the bad team got even worse, and left Denver 2 years later. What happened to the Rockies team? They moved to New Jersey and became the Devils, where they have been one of the most successful teams of the past 20 years, winning 7 division titles and 3 Stanley Cups. 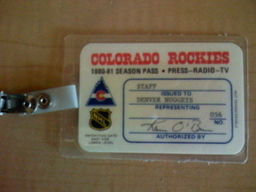 What happened to the name Colorado Rockies? Its grave was foolishly disturbed by a baseball team. That team is in its 15th season, but has been perennially bad and has made the playoffs only once -- just like the Rockies of hockey! Just to rub it in, non-cursed Denver teams have been very successful, winning lots of championships. The Avalanche (2), Broncos (2), and even the Colorado Crush (arena football) and Colorado Mammoth (lacrosse) have titles. But not the cursed Rockies. Not even the building the team played in was spared by the powerful Curse of Don Cherry. McNichols Sports Arena was demolished in 1999 after standing for only 24 years -- almost as if somebody was trying to bury a curse. In its place: a parking lot for the Denver Broncos' new stadium. The indignity! And that very parking lot has infected the Broncos with the Curse. The Broncos won the Super Bowl 2 times in their last 4 seasons in their old stadium. Since moving to the new stadium: zero Super Bowl appearances. The (hockey) Rockies' building mate, the Denver Nuggets NBA team, is also cursed. They have never been to the NBA Finals, one of only two pre-1980 teams to claim that unwanted distinction. And, of course, I don't have to tell you what happened to Garry Glitter. Fortunately for the Rockies baseball team, there's an easy way out of the curse: they have to change their name, preferably to the Denver Bears. Here is an important fact about blinking Bluetooth headsets. 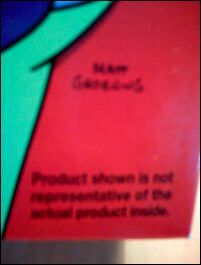 "Product shown is not representative of the actual product inside." I guess some lawyer looked at the box and was concerned that people would buy it, open it up and GET PISSED OFF BECAUSE THERE WEREN'T ANY WORMS, NAILS, OR JAGGED SHARDS OF METAL INSIDE. Sheesh. 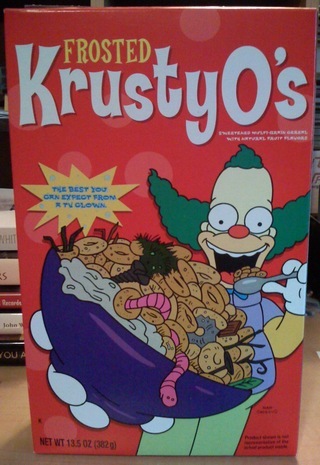 And finally, here's a look at the KrustyO's themselves.